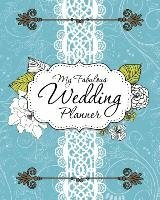 What to do with a Wedding Planning Book Make the Most of Your Wedding Planning Book After your wedding is over and all of the presents have been opened, you will be grateful that you had a quality wedding planning book to get you prepped for the big day. Wedding planning can be stressful, and the amount of time that it takes to prepare and plan for a wedding can be greatly increased without the use of a good wedding planning book. As you write down the important dates and events that led up to your wedding, you will be able to have them in your book for quick and easy reference. Your wedding planning book will be the staple of your pre-wedding activities, and it is something that will be fun to keep for years. Planner ślubny, został zamówiony "jak kot w worku". Nie widziałam go wcześniej, ale wiedziałam, że Empik= jakość. Daję 5 gwiazdek za sam planner (bo jest fantastyczny) + 5tka za ekspresową wysyłkę!